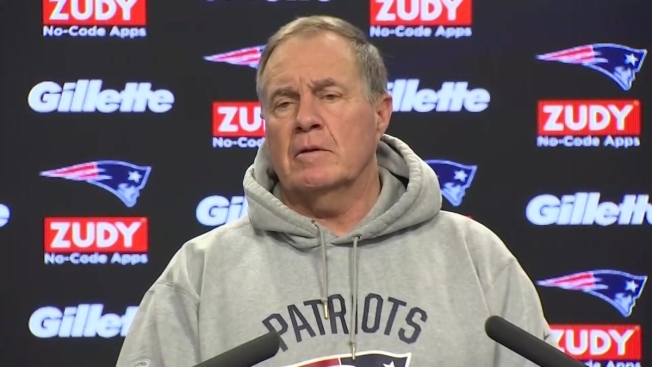 New England Patriots coach Bill Belichick spoke for the first time Friday morning since the news broke a day earlier that Josh Gordon had been suspended by the NFL. "I spoke with Josh yesterday morning, as I have several times since he's been here," Belichick said. "It's an unfortunate situation, and personally I wish him the very best, as we all do on this team." Belichick said the Patriots and the NFL have issued statements, and he's spoken of Gordon "at length" over the last three months, so he didn't have much more to add. "It's a private matter and I hope he's able to deal with it successfully," he said. "Otherwise, we move on to Buffalo and a big challenge ahead of us on Sunday. Today will be a big day for us. We've got to make the most of it and be able to go." Asked if Gordon's departure will change the Patriots offense, Belichick expressed confidence in the rest of the team's pass-catchers. "We have a lot of good players and we have a lot of people that have contributed and played well for us, and I have a lot of confidence in them and the whole team," he said. He was also asked about the difficulty of getting news like this on a Thursday in Week 16 of the season, during the stretch run. "Yeah, well, it is what it is," the coach said. One reporter asked Belichick if he felt he did all he could for Gordon in his time in New England. "I'm not going to make any comments on that," he said. Gordon tweeted Thursday morning that he was stepping away from the football field to focus on his mental health. Later in the day, the NFL announced that Gordon had been returned to the reserve/commissioner suspended list indefinitely for violating the terms of his reinstatement under the league's policy and program for substance abuse. In 11 games for the Patriots this year, Gordon caught 40 passes for 720 yards — the most on the team — to go along with three touchdowns. The Patriots traded a fifth-round draft pick to the Cleveland Browns for Gordon in September. The deal came together just days after the Browns said they had reached a breaking point with the star wide receiver, who has been suspended numerous times by the NFL for drug violations since he was drafted in 2012. He missed the entire 2015 and 2016 seasons for violating the league's substance abuse policy. After being reinstated by NFL Commissioner Roger Goodell in 2017, Gordon revealed in an interview with GQ magazine that he drank or used marijuana before games. "Probably every game of my career," he said. Gordon also said in a 2017 mini-documentary on Uninterrupted.com that he took Xanax, cocaine, marijuana and other narcotics.